Hitsville, The Motor City, Motown, America's Automotive Capital, The 313, Rock City: These classic names have long been used to describe Detroit. But, it’s the newer names that stand out for me: Comeback City, City of Reinvention, Renaissance City. I’m not from Detroit, but thanks to a recent experience with Breakout, a company on a mission to “bring inspirational people to inspirational cities,” I was able to learn from locals about the showcasing tools that can be applied directly to our entrepreneurial journeys. Boldness is evident among Detroiters. It’s exemplified in their choices to move back into a devastated city, start businesses, buy property and express their creative visions through art and commerce. 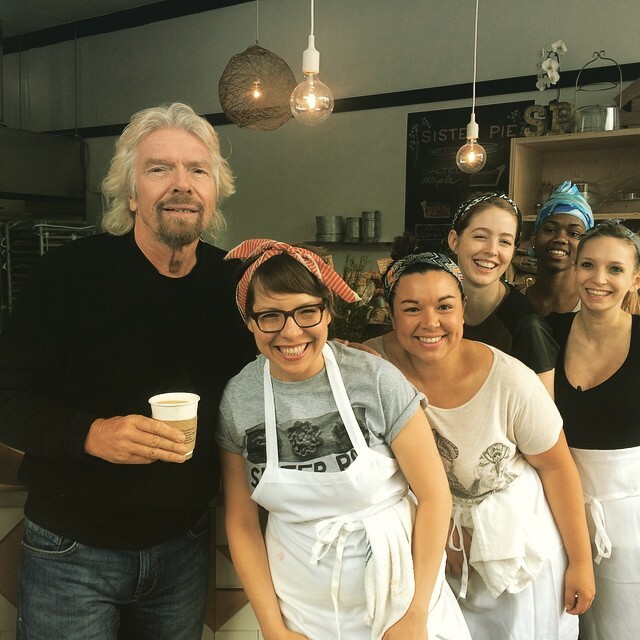 Similarly, we entrepreneurs, regardless of our locale, must be bold in our decision-making. Many stages of the journey require this. Should we continue to bootstrap? Do we bring on an investor? Do we need a partner? Are we selling to the right audience? Should we make that first hire? Do we do a re-brand or a pivot? Each of these decisions, and many others, require boldness in leadership and decision-making. If Detroit is replete with anything, it’s pride. Who doesn’t want to be a part of a proud community or organization? So, bring pride to your company every day. Your customers, investors and employees will all feel it, and ideally, it will rub off on them, too. Detroit certainly has some qualities that are not marketing-worthy. But, it also has a significant amount of noteworthy talking points, such as a low cost of living, a vibrant music scene plus art, ample space and the opportunity to impact change as an individual. This city is doing a great job of modeling how to accentuate the positives. So, do the same in your business. This doesn’t mean lying about your weaknesses, just leading with your best foot forward, to find where you shine and to leverage those assets. Growth rarely happens without strategic planning and vision. Government, public and private investors, nonprofits, start-ups and artists are all teaming up in Detroit to create a shared vision of their brighter future. And while certainly not all communities are on the same page about the way to get there, without a road map, it’s tough to know which way to drive. In business, it’s no different. So, be intentional about taking time away from the daily grind to "goal-plan" and strategize, setting both short-and long-term plans for the company. It would be a lot easier to encourage Detroiters to move out and let the city disintegrate than it is to raise their expectations and work daily on solutions to improve their current reality. In business, there are periods of downturn, and in some cases, almost fatal collapse. By raising your expectations for what is possible, you can then begin to see what’s on the other side of the horizon. Optimism breeds optimism. Pessimism breeds pessimism. You get to choose.